I do my very best not to mess up appointments with Top Farmers (or anyone, for that matter) but, the law of statistics dictates that you have to fail sometimes … long story short – I messed up with Richard … and he STILL showed me grace and patience and allowed me to question and photograph him for hours – he even shared the most delicious lunch (ever) with me in his beautiful home, with his gorgeous wife! This man IS a legend, one I know many of you have heard of, as he has presented his farming philosophies a few times, but I hope you’ll gain a deeper insight into what makes him so successful in this detailed article. Richard was “born into sugar cane” but didn’t plan his life to continue in it. His paternal grandfather was one of the first cane farmers on the coast in this region. And on his maternal side – the Hawksworth’s actually owned their own mill in the early 1900’s near Equeefa which is about 7kms inland from Park Rynie. Richard’s father farmed cane and timber in this area. After National Service, Richard completed a BComm and went into the corporate sector, working for SAB in JHB for a few years. Although his time in corporate was invaluable, he realised a deep yearning for his children to grow up on a farm and came back to his home farm in the late 80’s. He bought his own farm, about 70kms away from his Dad’s, in 1990 and has been very fortunate in growing this operation’s footprint every 3 years or so since then to the point where he is now – running excellent economies of scale and satisfied with the size of the business. Once he has ‘bedded down’ the latest acquisition (over the next 3 to 4 years) he will continue to focus on improving all elements over which he has control, and hearing about all those is going to be invaluable insight for all farmers wanting to emulate the success Richard has enjoyed after 27 years of discovery. Richard has chosen sugar cane as his sole income stream. It’s a personal choice that allows him to focus on where he believes he can excel optimally in terms of financial returns and wholistic sustainability. He has also chosen to ‘swim upstream’ in terms of his farming philosophies and practices. Initially, this was difficult, challenging and lonely but, as he’s seen the rewards of his unconventional methods unfold, his commitment and enjoyment intensifies. A number of years ago, Richard realised that disaster was looming: farming costs were increasing and yields were declining. In that scenario, it’s only a matter of time until the graphs cross and the game’s over. He needed to get the input costs down and the yields up. Focusing on the health of his farm (rather than constantly waging war against the pests and diseases and chasing higher yields and RV’s under the unrelenting artillery of mounting input costs) has reignited Richard’s passion for farming. The healthy soil means that floods, droughts and pests are no longer devastating. He also feels content in honouring his responsibility to the generations to come to hand over land that is in better condition than when he got it. Taking that, and combining it with a profit motive has built his ingenuity and patience. He is empowered, knowing that he is laying a firm foundation for, not only his, but his successors futures too. Short term profit taking is a challenge he has had to work through, but is so much more fulfilled by what he has discovered beyond that. A healthy soil has high organic content, active bacteria, beneficial fungi, earthworms etc. 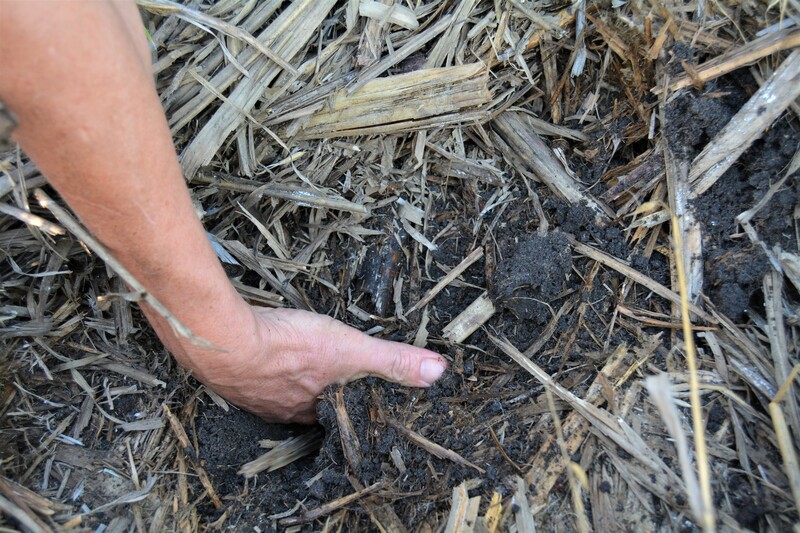 The organic content of the soil is improved, partly, by trashing – a practice Richard started on his farm 20 years ago. By continuously supplementing the organic content (Richard’s target is 7%), an environment for the natural generation of the soil food web is created. These organisms, if left to operate naturally, can deliver the minerals and elements the plant needs to grow strong and healthy. The challenge, then, is firstly to create and then to maintain that healthy environment. Richard follows conservation agricultural principles in that there is minimal disturbance of the soil and it is always kept covered. Part of this practice is ensuring that there are always roots (of any living plant) in the ground. If you take all the roots away, the organisms that live off them will die or go dormant. That needs to be avoided at all costs because, although you can buy bacteria, there are only 4 kinds commercially available. Nature produces millions and they need to be protected. Richard started by moving away from Urea based fertilisers. Initially, he made use of LAN-based products but is now applying CMS (Consolidated Molasses Solids) which he buys from Liquid Nutrient Technologies, who source the molasses from the Merebank distillery. The excess water is boiled off, leaving a concentrate which is spiked to Richard’s specified N, P and K requirements. LNT do offer an application service but Richard prefers to take delivery of the CMS in to his own tanks and apply it himself. This is done manually, using knapsacks, at a rate of 2600 lt per hectare. The job could be handled by tractors but the terrain of this farm limits the use of mechanisation in-field. Richard choses to use the SASRI soils lab. He takes careful note of their analyses and considers their recommendations but prefers to formulate his own fertiliser recipes. Liming starts a year before Richard replants a field so the pen-ultimate crop gets a good dose of lime, in preparation of the re-plant. He also applies gypsum to ensure that the nutrients throughout the soil profile are available. 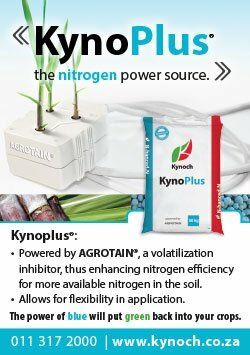 As this farm gets healthier, it requires less artificial nitrogen supplementation. Richard explains that 66% of our atmosphere is nitrogen. It’s all around us. We just need to understand how we can make this natural resource available to the plant. The secret to this lies in the bacteria in the soil which, if healthy, feeds the plant with all it needs. Over the last 6 years, his nitrogen requirements have dropped by 22%. Another cost saving. Richard is also not losing much nitrogen to volatilisation because he uses ammonium nitrate as his inorganic source and CMS has some organic N.
This, he leaves in the field and has adapted his ridger to be able to cut through the dense vegetation and create effective ridges, into which he lays the seed cane. On top of the cane billets he puts a granular fertiliser 2:3:4 (38) + 05% Zn which is buffered with humates. 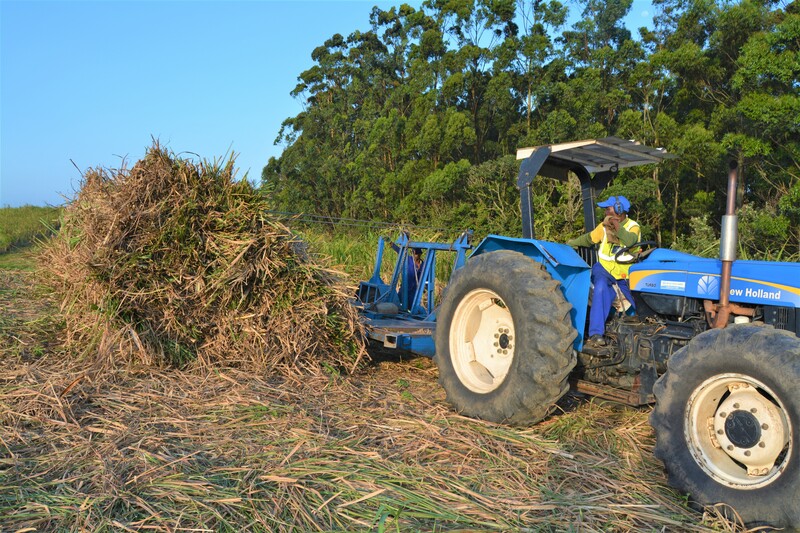 Inorganic fertilisers are acidic and burn the new cane roots so the buffering (with cumatin-ready carbon) softens that burn whilst still allowing the necessary nutrients into the space. He then adds bacteria (in the form of RhizoVital) and fungi (in the form of Eco-T) and trace elements ( from V12 Initiate fertiliser) and closes the furrow. Next season, Richard plans to let his neighbours’ cattle graze the fields before ridging, thereby killing a few birds with one stone: 1. he gains a vital ingredient for his recipe for supreme soil health by introducing an animal component into the system, 2. he makes his neighbours happy – they’re always battling to keep their animals out of Richard’s fields, 3. the ridging will be easier after the cattle have processed part of the vegetation. 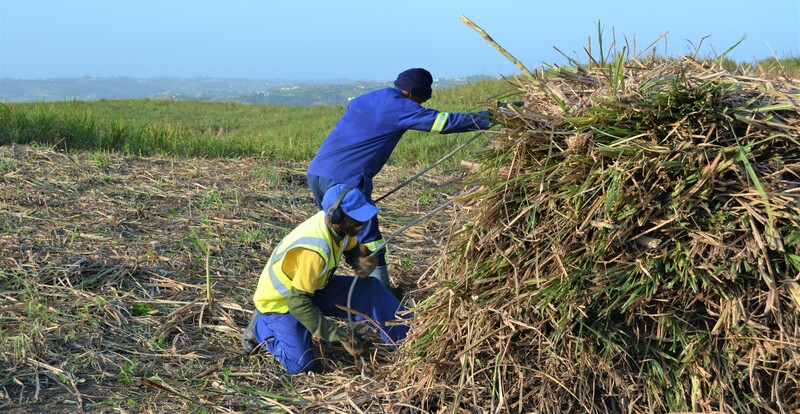 When it comes to ratoon crops, the fields are trash harvested and then a trash management team goes into the field, sweeps the trash off the roads and spreads it evenly throughout the field to ensure that there is no exposed soil. This even spread of organic matter is vital for promoting conditions for healthy bacteria and fungi and enhancing overall soil health. It also prevents rain shatter and erosion during heavier storms. In addition to that, the trash blanket also suppresses weeds and regulates day/night temperature variations. Colder valley bottoms might need some rows to be opened but Richard says this is seldom necessary. During this trash management, the field is cleared of any residual weeds. He then uses a pre-emergent herbicide mix of 800g of Velpar and 1lt Galego, only where trash blanket is thin. He does not use a blanket approach in the application of this chemical. About 6 weeks after this, he’ll hand weed, followed by another hand weed early in the new year. 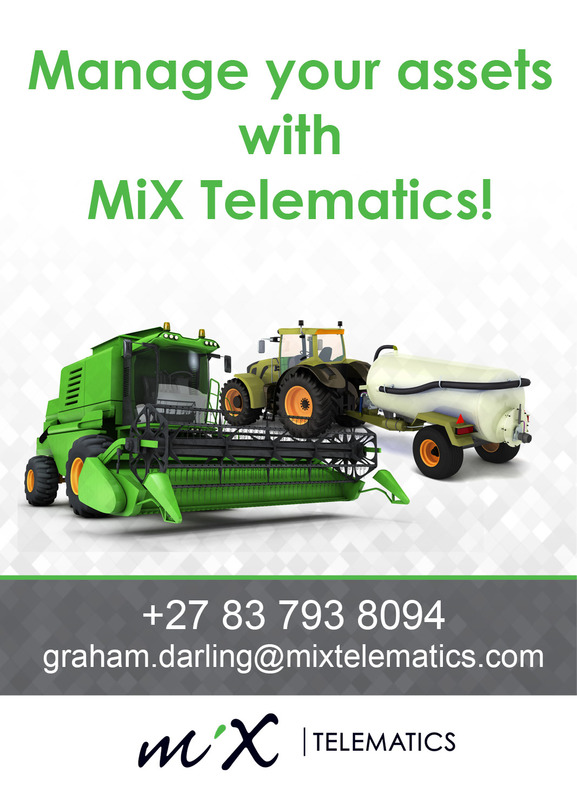 Fields are fertilised as soon as possible after harvest with CMS. Richard points out how dry and full of weeds a patch of soil, that had not been protected by a trash blanket became. In order to make this system workable, careful management is vital. There are dire consequences for missing windows. Eg: weeds may become too prolific for cost effective hand-weeding. For this reason, Richard runs a comprehensive table that plots all farming activities and the progress thereon. I found that this board fostered a culture of focus and clarity. It was easy for everyone to get on with what they had to do. Richard promotes principles around doing the same thing every day, but doing it better than you did yesterday. Richard believes that a 14/15 month growing cycle is right for this stretch of coast. 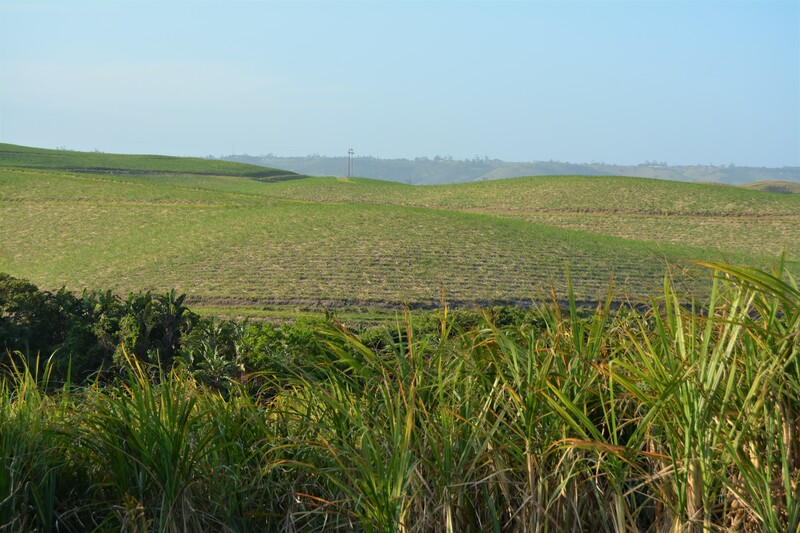 In order to push those few extra months, he plants in December, January and even February which he acknowledges is risky because of the low rainfall but it also means that the carry-over cane is generally plant cane and therefore at prime health. 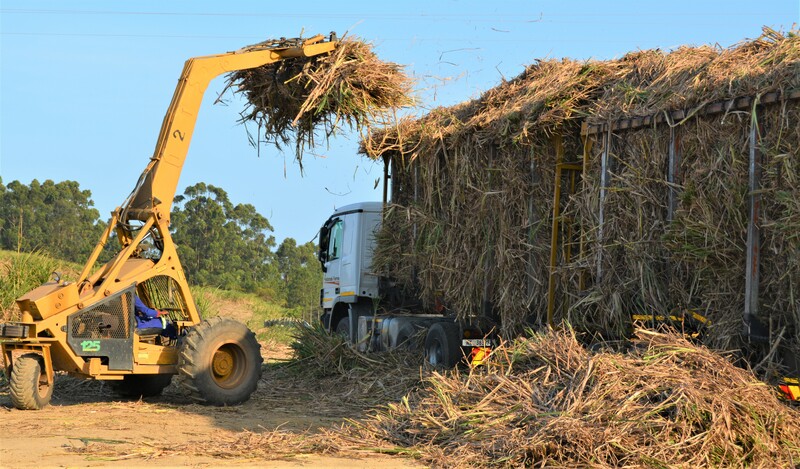 Once the cane is trashed and stacked loosely in-field, a tractor and side-loading trailer collect the bundle and transport it to a loading zone where it is weighed by a crane and loaded into Richard’s own trucks for transport to Sezela mill. In addition to the 40 000 tonnes that Richard produces annually, he also farms about 4 500 tonnes for small scale growers. As with everything, Richard continues to invest much thought and consideration into this relationship. 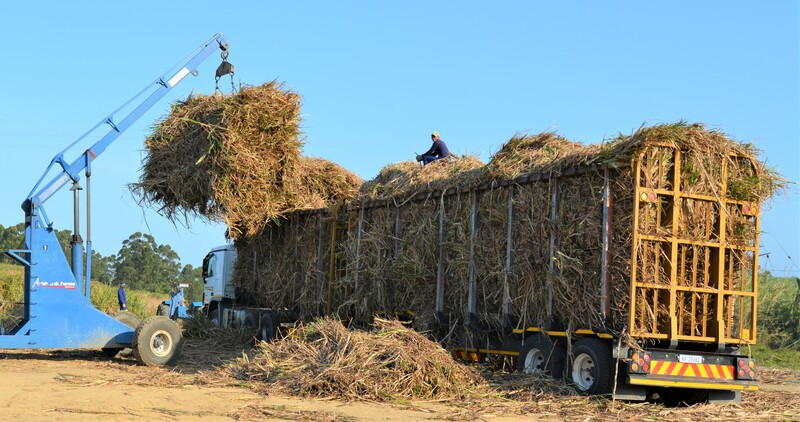 Currently, he is paid a rate per tonne by these growers and he manages their land exactly as he does his own, investing in it to produce the best crop possible but, with the recent decline in the sugar price, he is concerned about their lower returns. He is considering a straight lease agreement to combat this challenge. He started with 5 small growers, who were all Ashbrook employees. Largely due to his empathetic approach to the challenges of small scale growers: fragmentation, poor infrastructure and high expectations, Richard now services 57 land owners, all of whom have approached him to provide the service. He avoids any form of dictation when dealing with them and sees the relationship as a partnership. He harvests the “leased” land in winter, when the sucrose levels are highest and the roads are driest, averaging 3 truckloads per hectare. I am sure you’ve realised that Richard is trying to wean off all chemicals. No pesticides or ripeners are used by Ashbrook at all. His aversion to these poisons is based on his philosophy of treating a farm as a living organism, rather than a factory. He concedes that there’s no doubt that all these chemicals work; they deliver what they promise … but, at what cost? He much prefers the farming methods he has chosen wherein he understands the forces at play. And, is enjoying the rewards of investment in Nature’s work: 2017 saw his record per hectare yield from a field – 148 tonnes! That’s after a drought. Overall, his farm was down about 10% during the drought, whereas those around him saw declines averaging around 40%. The proof is in the results. But what about Eldana, especially being right on the coast? Rather than use chemicals, Richard has looked to plant health to build resistance to this and other pests: we know that Silica and Calcium work together to produce strong, dense cells in the cane plant. When Eldana tries to feed on these tough plants, their mandibles are blunted and they die. Richard is using this strategy to fight Eldana and it’s working. Not only that, but healthier plants actually repel parasitic pests. It is all a part of his strategic approach to first focus on the macro elements and once those have been addressed, he can get down to the micro details. Trace elements play a huge role in plant photosynthesis. For example, if Calcium is accepted as the “trucker” of all elements, then Boron should be recognised as the “driver” or steering wheel. Its job is to steer the trace elements to the right place. Yet, we are not even measuring the Boron levels in our soils. Key to everything is to restore and support a healthy environment that is balanced. In pursuit of a profitable and sustainable farm, Richard had focused on his passionate for soils, but after a challenging few years, culminating in late 2016, he realised that wasn’t enough. People were just as vital an ingredient of this operation. Richard began to carefully consider how this resource could be nurtured and developed to a healthy, sustainable state as well. He began to search for a model that was fair to all parties, regardless of the agricultural lows and highs, something that involved targets and delivery and kept motivation high. He hasn’t refined it yet but what he has achieved so far, shows he is on the right track. He has shone the spotlight on people with the right attitude, regardless of their literacy or qualifications. They have seen their remuneration doubled, their targets made clear, their progress distinctly tracked and corrective measures collaborated. The result has been astounding. Everyone gets on with their job, enjoying the expectations and possibility of improvement through each cycle of the farm. The system is simple: A huge white board hangs on the shed wall. It lists all the “measurables” of the farm. Things are measured daily and a weekly performance summary fed back to the relevant people The value of this lies in the fact that it is open information: anyone can track their progress and discuss the issues in order to improve. Richard demonstrates its value in one example: Farm records showed a productivity decline at month end, the week before pay day. After some research, it was found that money had run out and there was no food. Richard opened a farm shop that stocks all the basics at low prices. The impact was immediate and the spin-offs greater than just lifting productivity; workers saved on taxi fares, time spent travelling, storage challenges, security risks while in the village … productivity stabilised AND morale lifted. Another example was in the Transport division: maintenance costs and fuel consumptions were climbing. Being able to see this, prompted action and Richard employed a Driver Training consultant to come in and give talks on the topics concerned. The problem was addressed and Richards shows me, on the board, how consumptions started going down, sometimes by up to 18%! Richard smiles and delivers a pearl of wisdom: “You cannot manage what you cannot measure!” I found that so profound. How can we expect managers to do their jobs without information? When they see their performances tracked clearly, they can see the dips or shortfalls and correct it. One of the challenges on a trashing farm is to get cutters to top and trash properly. Being paid on weight means that they benefit from trashing poorly. He hasn’t quite nailed it down, but, by tracking all the Quality statistics, as mentioned above, he is working towards a remuneration structure that motivates cutters to trash well. One of Ashbrook’s haulers, in the workshop, getting the weekly once over before heading out on its shift. The statistics on this board are not only used to highlight challenges but also to calculate performance bonuses and, by having them current and on display helps individuals track their financial rewards too, allowing for corrective measures and motivating them to excel even more, while there’s still time. At the end of a season, the numbers achieved will become next year’s minimum targets with improvements expected. On this same board, all the vehicles are also listed and notes kept regarding their maintenance and services. No chance of anything missing a service or getting wasteful attention because everyone can see what’s next. Richard has also found that paying attention to staff medical needs holds value: at the start of every season all cutters are given a Vitamin B injection and deworming medication. Here are some of Ashbrook’s key men: Richard, discussing loading with Thamsanqa Bokile, Tau Mandawana celebrating another super quick haul of a bundle, Thulebona Myeza – Richard’s right hand man, Workshop staff: Bansifa Hlongwana, Mfuniswa Donjana and Nahim Bainadin with Mongezi Mbodlela proudly showing off a trailer that he expertly restored back to glory, and Nahim Bainadin, who oversees the workshop. All data is captured on to Canepro daily. Reports are then drawn from Canepro which assist in the daily management and strategic planning and decision making. Overall, Richard sees immense value in the people with whom he works. “Two oxen pulling in different directions go nowhere but two oxen pulling in the same direction go twice as fast as either of them could alone.” And therein lies his people-management thrust. Get everyone to work towards common goals and EXCEED those goals. He believes in breaking the glass ceiling that sometimes seems to limit our people. The potential is there, all we need to do is to think beyond minimum wages and finite work descriptions. Initially, all the cane off this farm was moved from 3 loading zones, this meant that field to zone distances were too long. Without extending the distance the haulage trucks had to travel, he created new ones that reduced the field to zone distances significantly. The result was that he expects to save about 4000 kms per year, (conservatively a 1 km saving for each return tractor trip from the new zone to field, of which there are 4000 per annum) which translates into significant fuel and maintenance savings. The costs of the earthworks to build the new zones will be more than recouped in year one. Richard’s business mind, BComm degree and corporate experience in logistics all shine through and have proven invaluable. He has learnt how corporate systems work and carry enterprises, regardless of the staff that come and go. The business acumen of farmers is more important now than it ever has been before. The lean margins that farming realises in present times mean that mistakes can be fatal. There’s simply not enough fat to cushion a farm against the consequences of a poor decision. Combine that with the fact that the weather is more erratic and politics unstable and farmers find themselves in a position wherein they simply HAVE to focus on what they do have control over and do those things better. As mentioned in the discussion on harvesting, Richard wants to find a way to motivate the cutters to trash well, base and top cut optimally. He is searching for that ‘limiting factor’ – what it is that keeps us from reaching beyond the potential. He wants to understand what is needed to naturally increase brix and improve nutrient translocation through the plant (instead of artificial ripeners). At the moment Richard lags the mill average RV by about 1%. Continue searching for the holy grail – a system which does not depend on chemicals, one where the soil is nourished and that in turn supports the crop. Perhaps I should have made Richard’s story a two-part series as I was tempted to after driving away from his farm. There is just so much energy and potential and scope in his operation and way of farming. I hope that you read this story again, as I know you’ll pick up more than you did the first time. And if once was enough, I hope that seeds of sustainability have been planted in your plans for the future. Thank you, Richard, for sharing your passion and exuberance for future-focused farming.